View the entire table of contents for the Nov. 15, 2005 issue. There's no shortage of new labels when it comes to Napa Cabernet. But how do you know if you've got the next hot thing, or just a flash in the pan with a hefty bottle and a fancy label? What follows are brief profiles of some of the most exciting new labels that, in just a vintage or two, have earned reputations for high quality. 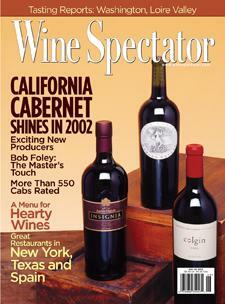 For the full article, check out the new issue of Wine Spectator, on newsstands November 15, 2005.